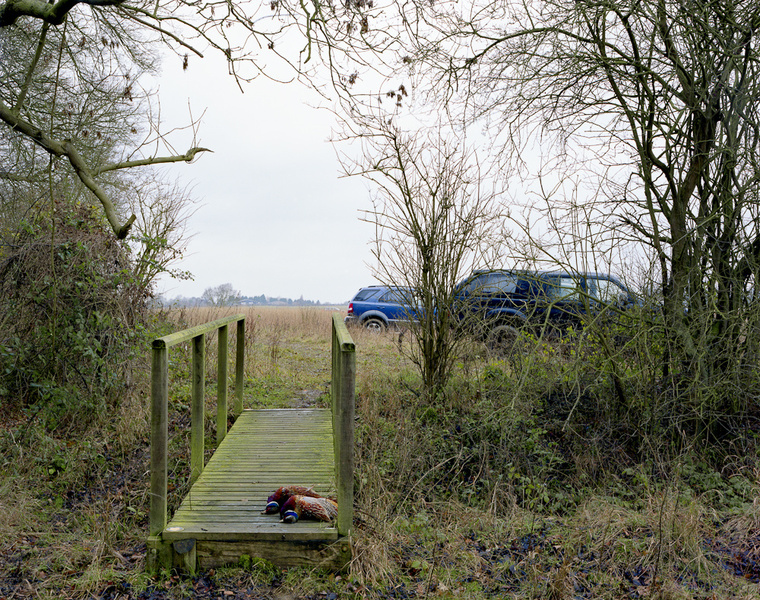 These photographs, from a work still in progress, are taken in the English countryside. I choose a place, sometimes for a specific reason, but more often guided by the poetics of village names (Cold Christmas, Nasty, Little Gidding, Good Easter, etc.) and explore from there. Driving and walking I search for pictures that speak of this iconic yet hard-to-define thing “the countryside” and the interplay of the ideas and feelings evoked by it: tradition and modernity, nostalgia, our relationship with nature and to what we eat, the underlying cycle of seasons and festivals. The finished project will be a journey from one winter to another formed of the encounters between the countryside of my imagination and contemporary rural England.